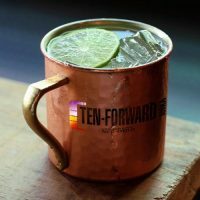 Ten Forward is the name of the lounge on the USS Enterprise-D from Star Trek: The Next Generation where crewmembers could enjoy a beverage from the bar and a game of chess. 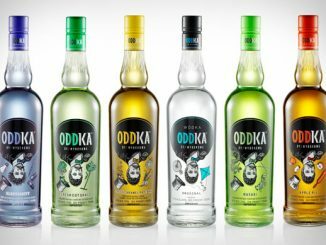 That’s what makes it a perfect name for the new Star Trek Ten-Forward Vodka. 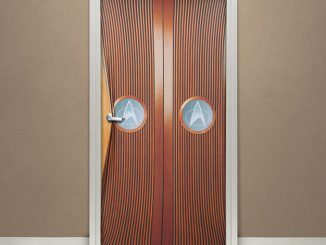 The bottle and brand logo are obviously inspired by the LCARS (Library Computer Access/Retrieval System) graphical user interface used on display panels and controls throughout TNG. 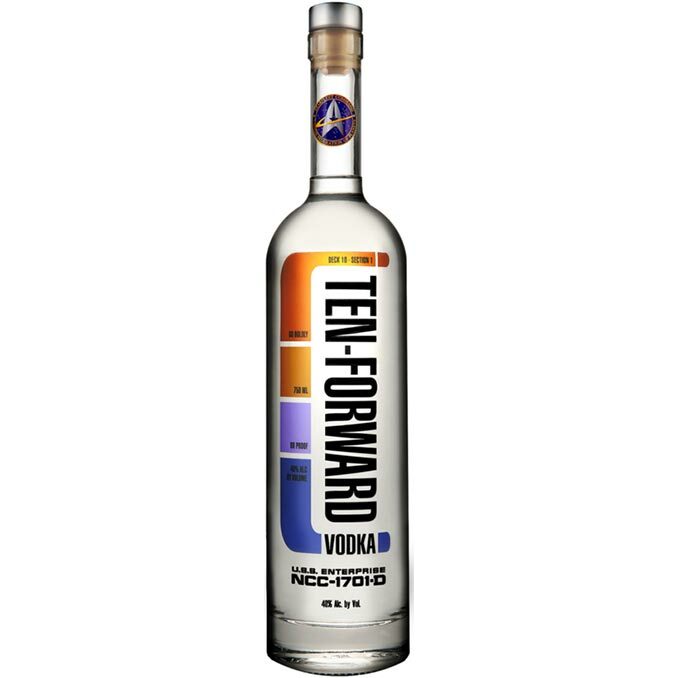 However, the coolest thing about Ten-Forward Vodka isn’t the awesome design—it’s the fact that it’s actually been to space. 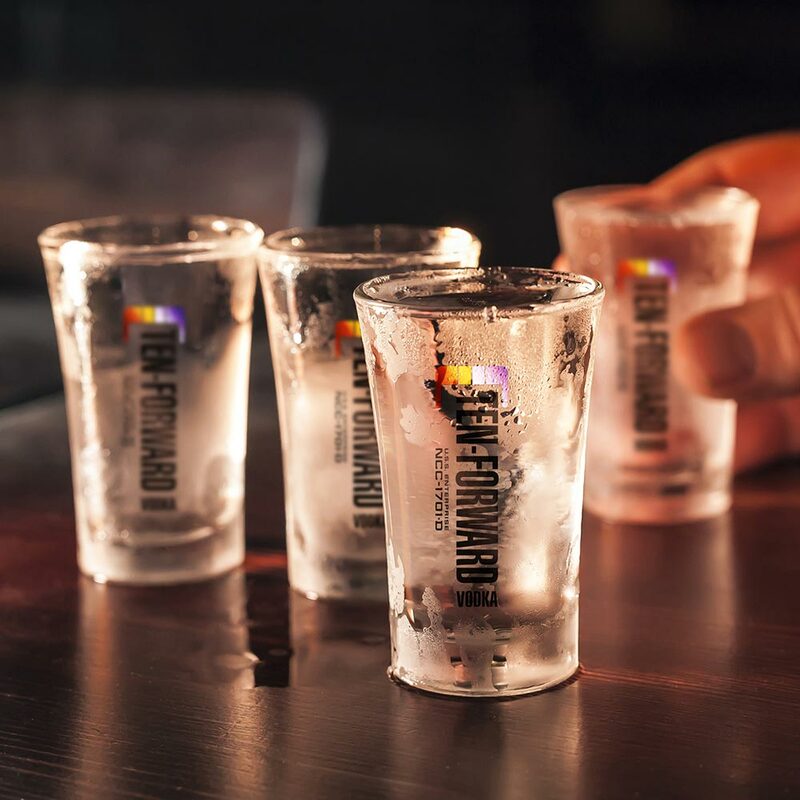 They are sending a portion of the vodka to earth’s mesosphere using a high-altitude balloon and carefully mixing it with the production so that every bottle has a (small) portion of vodka from space. Ten-Forward Vodka is expertly crafted in small batches from American grain and distilled 6 times for a smooth taste. 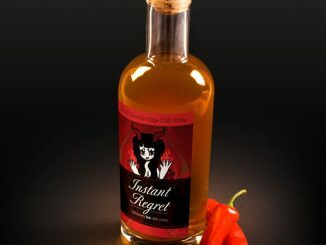 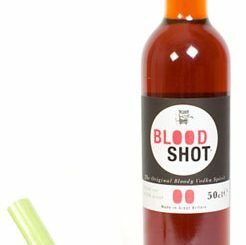 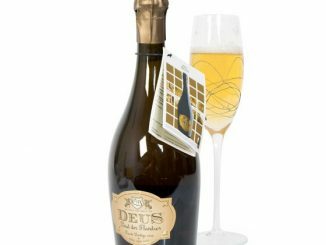 It’s suitable for the Star Trek fan to drink straight or to mix into a delicious cocktail. 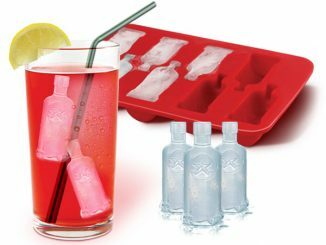 No word on whether they will sell the cool drinkware featured in the pictures. 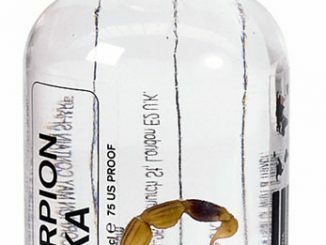 Following its descent from space, Ten-Forward Vodka will make its debut. 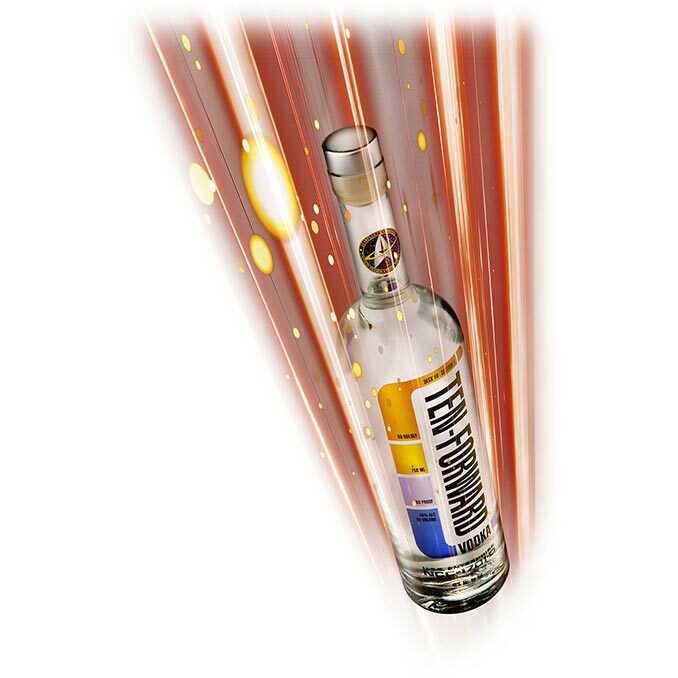 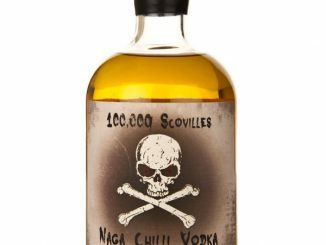 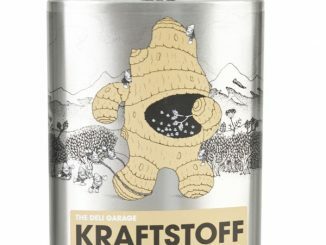 Upon arriving back to Earth, this grain spirit will be carefully protected and blended into the stocks of Ten-Forward Vodka insuring that a portion of every bottle will contain vodka from space, allowing discerning vodka drinkers to go where no man has gone before. 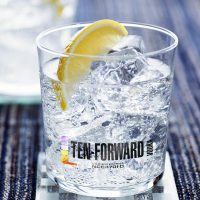 Distilled six times from American grain, and filtered through hardwood charcoal, Ten-Forward Vodka is soft and delicate enough to drink straight or mixed into your favorite cocktail. 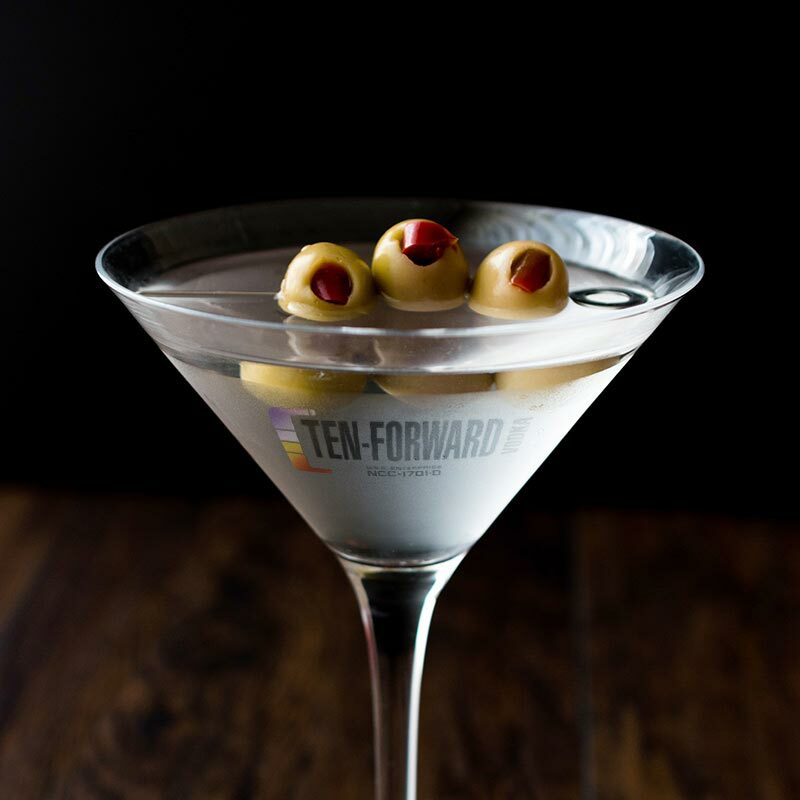 Expertly crafted in small batches, Ten-Forward Vodka is for the Star Trek fan and the vodka aficionado alike. 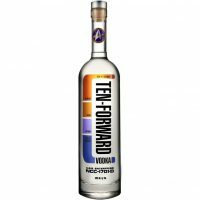 You can pre-order Star Trek Ten-Forward Vodka for $29.99 a bottle. 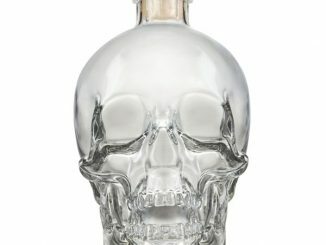 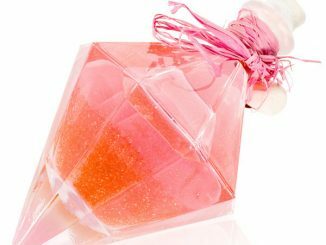 It is expected to ship on September 10, 2018.